Never underestimate the power of colour , or lack of, in your life.There have been numerous studies that prove colour’s powerful effect.In fact in several states in the U.S., prisons have issued PINK only uniforms to their prisoners in a means to subdue them, and it works.In fact the Psychology of colour is now a very important factor in marketing, in business , in public speaking, based on its unconscious reaction it provokes.Restaurants used RED to stimulate hunger, spas use light green or blues, Psychiatric hospitals use soft pinks or greens. 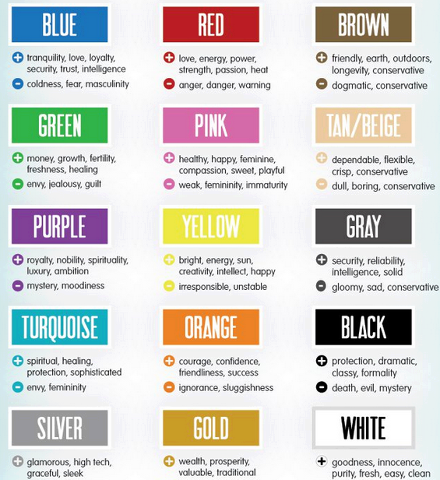 So I wonder how your clothes and the colours you wear affect your emotional state and also how people respond to you. Let say you have an important job interview…wear red is bold and filled with energy, but for a circumstance like this, it might come across as too arrogant, headstrong.Best colours for a job interview are shirt in blue and white…showing intelligence (blue) and trust (white), mixed with a blue suit.Brown is also good to denote a conservative, calm approach, for woman a green dress shows you’re keen, blue (intelligence, sharp) and so on. In a consulting room, splashes of red can increase attention and stimulate the excitement of the work you do, show a sharpness…but not too much. On a date is where colour can really be fun…depending on your mood and what you want to convey red is definitely a power statement.Bold, confident, energized…green, calm, easy-going, trustworthy, blue sharp, clean, intelligent, brown classic, conservative, yellow a bit alternative, happy-go-lucky, . Refer to the chart above and colour code your life. Going for a run, feeling tired…definately wear RED . Imagine renting a house without doors or windows. I wonder how long it would take before you felt uneasy about it. 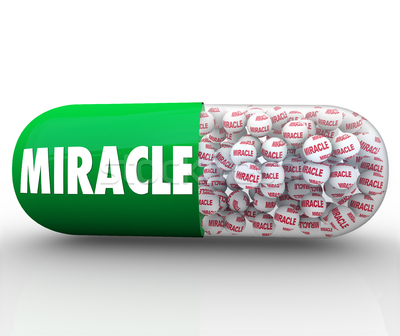 Eventually… you might imagine…at some point…some undesirable effects may results from this lack of protection. Boundaries in your life are the windows and doors to your home. I think it can be helpful to establish boundaries in terms of minimums and/or maximums. For instance, you may have a boundary that states you will work out three times per week at a minimum. The minimum is the boundary that defines what is considered “good enough” for your life. You can also set a maximum boundary around working out. This boundary might say that you will not work out more than five times per week – you will allow two days for rest. The minimum and maximum boundaries protect you from patterns of perfectionism and procrastination. If you go below your standard, you are not honoring what is important to you. If you go above your standard, it might mean you are placing unrealistic expectations on yourself. Boundaries are designed to protect you and the life that you want to live. Self-esteem boundaries protect your sense of worth. These boundaries help you feel good about you. What is the minimum you need to do to maintain self-respect? Perhaps you need to follow through on your promises, or maintain honesty in your life. What are the limits you need to set with yourself and other people to make sure your self-esteem is not compromised? What do you need to do to protect your body? What physical limitations might you need to recognize? What standards need to be in place for you to protect your physical health? It could be that a certain minimum amount of exercise or a maximum amount of food or drink is required. It might mean you always honor regular health and dental appointments. Energy boundaries obviously protect the amount of physical and emotional energy you have to operate from. What energy drains in your life need to be eliminated or minimized? Which energy refuelers must be present to help you maintain the energy you need for your life? Time is a precious commodity. Without the proper time boundaries, we lose something we can never get back. What non-negotiable boundaries must be in place to protect your time? What is the maximum amount of time you will spend on a particular activity, at a specific event, or engaging in work? Time management is all about having clear boundaries. Our space includes any environment we spend time in. We need to protect our spaces so they nourish us and enable us to live our lives optimally. Space is making sure you have your have your own “stuff” to enjoy in your environment, your own special chair, or favorite cup. Pay attention to your needs for organization, cleanliness , quiet, or beauty in your environments. How do you know when your environment is “good enough”? What does the minimum and maximum state of your environments need to look like? Just like time, we need money to survive in this life. Your money boundaries protect your finances. What are the limits you need to set on spending and saving? What is the minimum salary you are willing to work for? Consumer debt, for instance, is the result of unidentified or compromised boundaries. What boundaries need to be in place to protect your relationships? Our relationships are truly our greatest gift in life. How much time do we need to spend to nurture our relationships? How much intimacy do you need to feel connected? What limits do we need to set on our behavior in relationships? Boundaries help ensure our relationships remain healthy. Boundaries are essential to helping us identify who we are, what’s important to us and how we want to live our lives. Without them, other people will decide these things for us. *Remember, no one can make you feel angry, anxious, unworthy, fat, stupid, incompetent, devalued, or rejected WITHOUT your permission. This is a very powerful yet simple exercise to create strong mental shifts within your mind.Just because it appears simple however does not mean it is not a powerful and profound tehcnique….it is.Please note it is important you follow a few simple instructions to fully utilize the full effectiveness of this exercise, otherwise your conscious mind will dismiss its values and get in the way with its normal can’t shouldn’t won’t doubts etc. Now everyone has an imagination, some of us are visualist, some of us are more feeling, whatever your strongest sense , trust me when I say you have an imagination. So, very simply, find a place where you can sit comfortably with your eyes closed and just take a few deep breaths in just releasing, relaxing on each exhalation. Now, I’d like you to vividly imagine your desired future, notice how you look, feel, act, think, dress, walk, talk and how people around you respond to you…as if you’ve already achieved it. Now float back in your mind to the present time…slooooowly…and notice the steps you took to get there. ACT AS IF you have that job…dress as if…talk as if.Act as if you are super confident…dress as if , walk, talk as if.Act as if you are succesful, dress, walk, talk as if. You see, the subconscious doesn’t know the difference between what is real or imagined…it takes what ever you give it.So give it what you want…AS IF…you’ve already got it….otherwise youre programming your mind for where you’re at and continue getting more ….or THAT. How do you measure success? Is it a certain amount of money? Is it the person who has the biggest muscle or that ripped 6 pack? Is it the person who drives the Mercedes, owns a large home, a yacht? How is success measured? 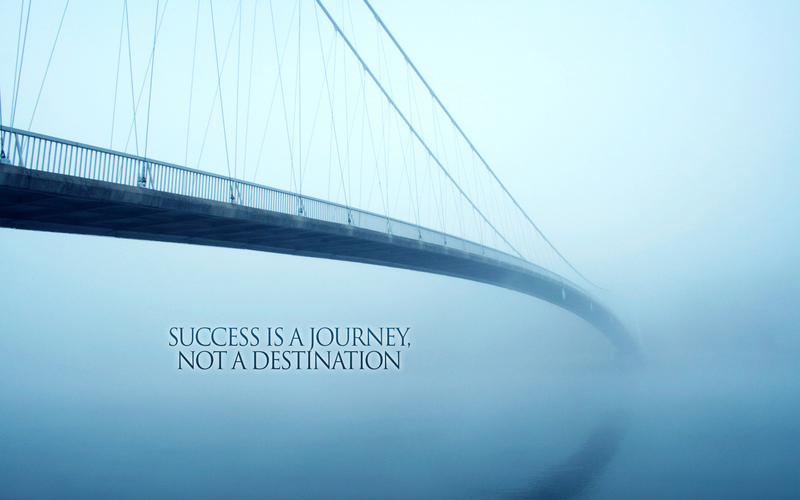 You’ve all heard the saying “It’s the journey not the destination” Well, I believe this is the true measure of success. What I think success is for me is having healthy beautiful children, enjoying a wonderful relationship with them, having grandkids, a loving partner, a beautiful home, an amazing cabin in the woods, pets I love, a business I’m passionate about, giving back to others as a means of paying it forward, hard work ethics, love, health, the gift of being alive, freedom, intelligence, expression, gratitude …all of these things are how I measure success and I feel overly abundant in my life…even if my car is an old , outdated worn out junk…because I don’t care…it gets me where I need to go…and I feel rich and successful in those areas that matter. But I’m not saying my way is the right way. It’s a personal thing, other’s measure success very differently, and that’s ok. But what’s’ important and what we all need to agree with, it whatever your passions, whatever your focus, success comes from the continuation of doing….action…just keep on keeping on. Because that takes guts, that takes heart and perseverance and ultimately that is the real pathway toward success. We tend to think everyone else just got there easily …that they are just really lucky. But most successful people have the same fears, the same doubts, the same frustrations and rejections. Most successful people know what it’s like to be broke, drive a crap car, but the difference between those that succeed and those that don’t…is they kept on going….they felt like stopping, 1000s of times, but they kept on going. It’s the doing when it’s the last thing you feel like doing that helps you push past those final corners, jump those hurdles and gain the discipline and momentum you need, for success. Just to prove my point I’ve added several famous successful people’s storied below let it inspire you, let it motivate you to keep going. We all feel the struggles, we all have those doubts, we all feel those fears…keep ploughing through anyways. F. W. Woolworth: Some may not know this name today, but Woolworth was once one of the biggest names in department stores in the U.S. Before starting his own business, young Woolworth worked at a dry goods store and was not allowed to wait on customers because his boss said he lacked the sense needed to do so. Harland David Sanders: Perhaps better known as Colonel Sanders of Kentucky Fried Chicken fame, Sanders had a hard time selling his chicken at first. In fact, his famous secret chicken recipe was rejected 1,009 times before a restaurant accepted it. Walt Disney: Today Disney rakes in billions from merchandise, movies and theme parks around the world, but Walt Disney himself had a bit of a rough start. He was fired by a newspaper editor because, “he lacked imagination and had no good ideas.” After that, Disney started a number of businesses that didn’t last too long and ended with bankruptcy and failure. He kept plugging along, however, and eventually found a recipe for success that worked. Albert Einstein: Most of us take Einstein’s name as synonymous with genius, but he didn’t always show such promise. Einstein did not speak until he was four and did not read until he was seven, causing his teachers and parents to think he was mentally handicapped, slow and anti-social. Eventually, he was expelled from school and was refused admittance to the Zurich Polytechnic School. It might have taken him a bit longer, but most people would agree that he caught on pretty well in the end, winning the Nobel Prize and changing the face of modern physics. Thomas Edison: In his early years, teachers told Edison he was “too stupid to learn anything.” Work was no better, as he was fired from his first two jobs for not being productive enough. Even as an inventor, Edison made 1,000 unsuccessful attempts at inventing the light bulb. Of course, all those unsuccessful attempts finally resulted in the design that worked. Jerry Seinfeld: Just about everybody knows who Seinfeld is, but the first time the young comedian walked on stage at a comedy club, he looked out at the audience, froze and was eventually jeered and booed off of the stage. Seinfeld knew he could do it, so he went back the next night, completed his set to laughter and applause, and the rest is history. Fred Astaire: In his first screen test, the testing director of MGM noted that Astaire, “Can’t act. Can’t sing. Slightly bald. Can dance a little.” Astaire went on to become an incredibly successful actor, singer and dancer and kept that note in his Beverly Hills home to remind him of where he came from. I wonder which one of you will have their name on this list. I wonder… which of the rest of you…will be the ones… that almost did?